5 Common Misconceptions About Divorce - Haas Tharrington, P.A. There are a lot of myths and false assumptions surrounding divorce, and many of them are accepted as fact thanks to popular media. They are so widespread that divorce attorneys have to spend considerable amounts of time educating their clients on how the process actually transpires. Below is a list of five of the most common misconceptions about divorce and why they have no basis in reality. Custody of children always goes to the mother, and men pay alimony. This myth has been difficult to dispel because it was once true. There was once a time when judges widely believed that it was best for children to live primarily (or exclusively) with their mother. However, that is not the case anymore. Most judges today presume that children benefit from regular contact with both parents, and are open to the possibility that it may be in the children’s best interests for dad to be their primary caretaker. Things have also changed regarding alimony in that courts decide whether to award support (and how much) on the basis of both parties’ specific financial situations, and the husband is no longer presumed to be the “breadwinner.” It is not uncommon to see the husband receiving alimony from the wife in situations where the wife significantly outearned the husband during the marriage. Your spouse is refusing to sign the papers, so you can’t get divorced. This scenario is featured in a lot of TV and movie plots. But legally speaking, it’s false. In North Carolina, there are two grounds for divorce: incurable insanity (exceedingly rare and difficult to prove legally) and living apart for one year and one day as long as one person intended the separation to be permanent. This means that North Carolina is a “no-fault” state and the parties do not need to state a reason or cast blame on who is responsible for the end of the marriage. 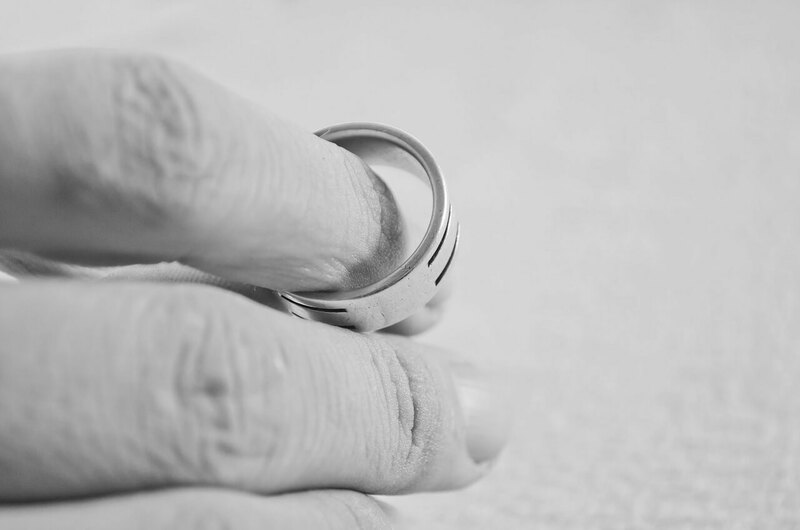 As long as you’ve lived apart for the required period of time and intended the separation to be permanent, you can divorce your spouse (whether or not he/she agrees with it) so long as you meet all of the procedural requirements. Divorce is always a legal battle. Many couples assume that they can only get their fair share of the marital estate by “fighting it out in court.” While some divorces are contentious, most are resolved amicably through divorce alternatives like mediation, collaborative law, and green divorce, and the reality is that the vast majority of divorcing couples never see the inside of a courtroom. There are numerous methods that allow you to dissolve your marriage in a respectful and civilized manner, which is beneficial for your financial future, your mental health, and your future co-parenting relationship if you have children. If one spouse owned the marital home before the marriage, it’s automatically theirs on divorce. Not necessarily. Even if you owned the home before getting married and yours is the only name on the title, your spouse may be entitled to a portion of its value. Unless you both signed a prenuptial agreement indicating otherwise, marital property is typically divided in an equitable, or fair, manner. You may have purchased the home, but your spouse may be entitled to a portion of any increase in its value during the marriage. When a couple divorces, each one keeps all the accounts in his/her own name. Under North Carolina law, income earned during a marriage is marital, even if you put it in an account in just your name. That means that if you put money from your paycheck in a joint checking account, a retirement account in just your name, or under your mattress, your spouse is likely entitled to his/her marital share. Any retirement benefits or pensions earned during a marriage are regarded as marital property and subject to division upon divorce. The standard formula divides the length of the time the spouse was simultaneously employed and married by the amount of time employed. Divorce and other family law matters involve the most complex yet personal issues you may ever face. At Haas Tharrington, we are here to help when you need skilled and trusted legal counsel. We will separate myth from reality so that you understand your rights and can make informed decisions about your future. To schedule a consultation, contact us or call (919) 783-9669 today.